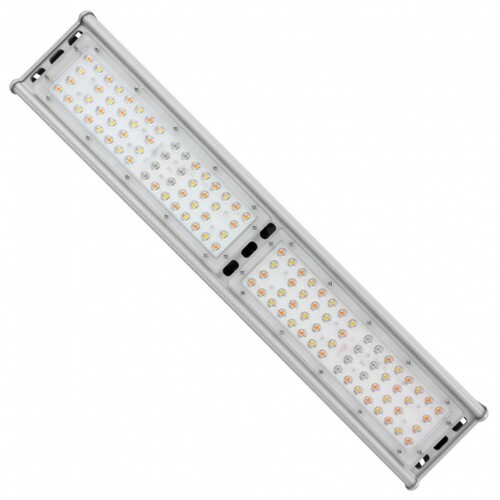 Lumii Bright is a 100 W full-spectrum light LED fixture that may be used in many ways to help plants grow and develop evenly and it is a perfect addition to any grows room.Each fixture is composed of two connected LED boards with a specially designed internal driver. Depending on the number of plants, size of the growing area or the need for the light, you can use one or up to six fixtures in series at the same time. 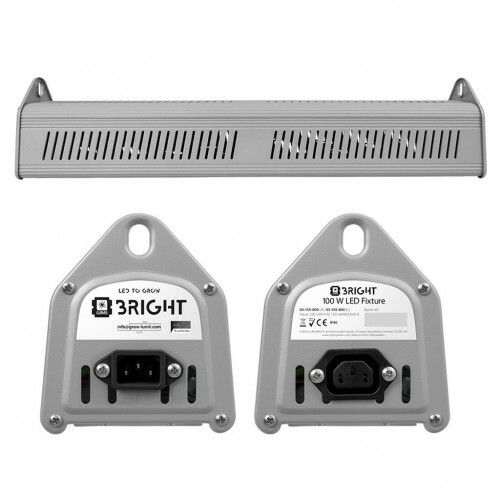 The system is modular which enables you to connect more fixtures to each other to provide coverage of a larger growing area if required. This will allow you to meet different needs in your growing area, which includes all stages of growth, main and additional lighting, dark and shadowy corners in your growing area, maintenance of donor plants, and increasing yields. Lumii Bright LED Grow Light Fixture 100 Watt is ideal as an independent or a supplementary lighting source. The plant grows faster in an area where there is higher coverage of the main growing light, while growth is slowed down from the side of the plant to which it does not reach enough light. If positioned as a side illumination, the fixture will facilitate to lessen any dark or shaded areas that are not wholly covered by growing light. In this way positioned fixture, improves the light spread, so the plants receive even light, which will stimulate their uniform progression. If used as a dominant light source, Lumii Bright ensures that all plants get enough light, grow evenly and that the canopy remains flat. As a single unit, it can light up an area of around 60cm x 60cm. In larger growth areas, it is recommended that the several units be attached in series in about 50cm above the canopy to achieve consistency and uniform distribution of light to all plants. Whether you choose to use it as a stand-alone or supplementary lighting source, the Lumii Bright 100-Watt LED is perfect for clones, young seedlings and even for mother plants and delivers a high level of performance that will enable plants to grow steadily, produce higher yields and to have a better taste. LUMii BRIGHT fixture is ideal for achieving optimum temperature in the growth environment, because it works colder than any other light sources and reduces heat. This feature is highly significant since it reduces the possibility that heat-related issues will arise due to heat coming off your lamps, and on the other hand, it reduces the need for noisy fans and high amounts of airflow. 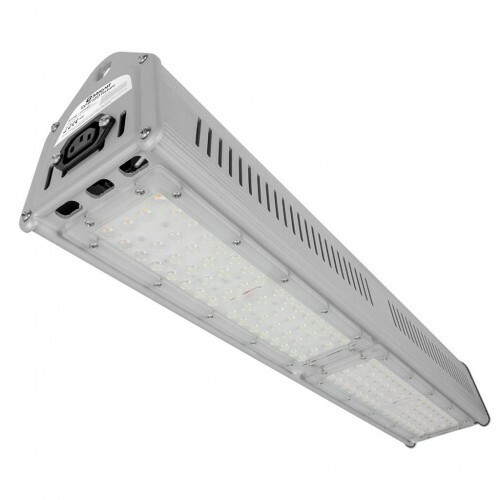 100W LED Lumii Bright Grow Light Fixture is ideal support in every growing area. Apart from being economically efficient, it will enable your plants' proper growth and development, which will improve their quality and yield. Growing - The amount of light required will depend on the size and development of your plants. As a guide for seedling and cuttings a 100w LED module will cover up to 1m2. Small medium sized plants you will need 2 x 100w LED modules per 1m2. Flower - To replace a 600w HPS you will need to use 450-500w of LED's, Lumii Bright 100w LED Grow Lights cover 0.28m2 or 5 x 100w modules in a 1.2m x 1.2m space. Flowering mixed with HPS - If you had two 600w HPS lights remove one and add up to 5 x 100w LED's to deliver the same level of light. 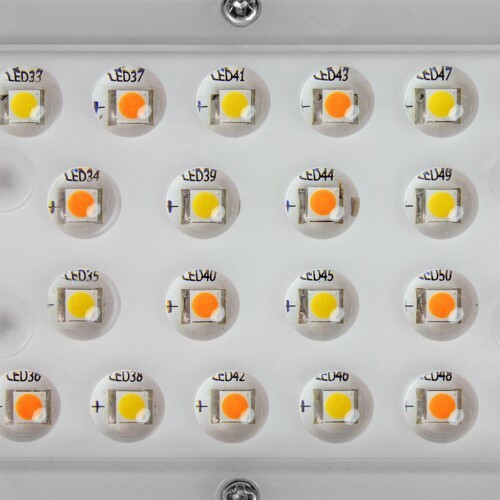 After years of rigorous research and development, the KIND LED Grow Light is complete, and it is a c..
Hacienda LED Grow LightsThe Hacienda LED grow light uses the latest generation of multi-cob technolo..